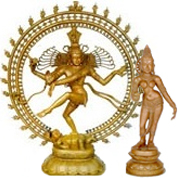 santhAnak kuravar are the gurus who gave to this world the philosophy of shaiva sidhdhantha.They are in two classifications. Adhi guru shrI dakshiNamUrthi is the guru for thirun^an^dhi dhEvar. thirun^an^dhi dhEvar is the guru of sanath kumArar and so on. paranychOdhi munivar was the guru of meykaNDAr. The four mentioned above lived in this earth (bUdha paramparai) in thamiz land and gave answers to much difficult philosophical questions in the form of shaiva sidhdhanthic explanations. 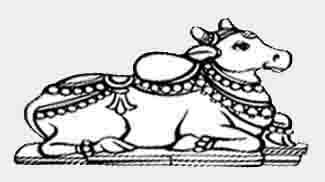 Further disciples of this tradition established the mutts at thiruvAvaDuthuRai and dharumapuram (namachchivAya mUrthikaL and gurunyAna chamban^dhar respectively). Since this tradition starts from Lord dakshiNAmUrthi at Holy mount kailash, the two mutts get the title kayilAya paramparai. 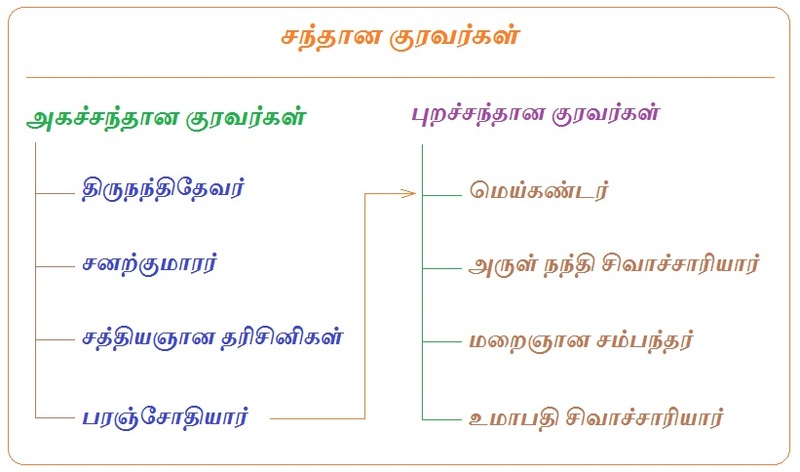 The philosophic texts composed by the san^thAna kuravar are called santhAna n^UlgaL(1). (A few of them are composed by others who are not part of this four). 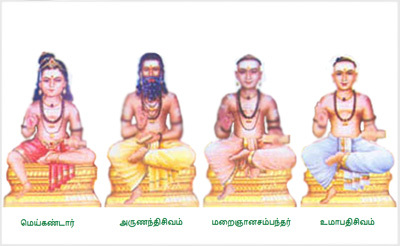 These fourteen are regarded as the sAththiram (basis, scriptures) texts. புந்தியின் ஞானம் உயருமா பதியும் புறச்சந்தா னத்தி னாரியரே"